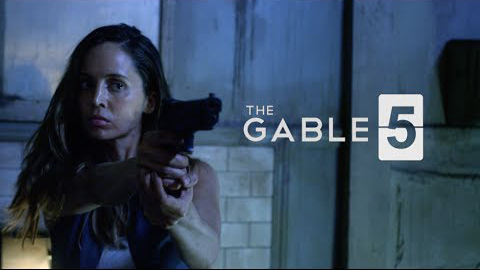 Kevin Tancharoen, who directed the viral Mortal Kombat: Rebirth trailer and the Mortal Kombat Legacy web series, has been busy working on a new web series called The Gable 5 for Machinima. The premiere episode is now available, but before it premiered, a lot of mystery was surrounding the project. What we did know was that it was going to involve gifted people and experiments. We chat with Kevin about the web series, the possibility of continuing Mortal Kombat Legacy Season 3, and why we won’t be seeing a Mortal Kombat movie soon. Nerd Reactor: The Gable 5 web series is pretty mysterious. Kevin Tancharoen: It’s meant to be mysterious actually. This was an idea that writer Scott Martin and I have been thinking about for around 2 to 3 years. We never had the opportunity to carry it through, so when the opportunity came about with Machinima, we were excited and wrote it very quickly. I was very excited to get the cast that we got, like Eliza [Dushku]. Being a friend of my sister, it was very awesome to get her. I was a huge fan of 24, so getting James Morrison was amazing. And then Steve Harris, who’s been in like everything, I couldn’t believe we got him. Everyone just responded to the material. We were really trying to pitch this as a sci-fi version of Truman Show but with a medical government angle. It’s also meant to feel Twilight Zone-ish and like Lost. You’ll learn about the backstory of these people. And there will be a lot of violent action in it for sure, because I simply like shooting violent action. Especially since you did the Mortal Kombat Legacy. With Eliza as an experiment, will she be teaming up with others in the same situation? Halfway through the series they’ll realize they’re in this trap together. Now what they do together is going to be a surprise. How many episodes are going to be in the web series? We wrote ten. Whether or not we get to shoot them is for the fans to determine. We’re putting this out as a pilot. If people respond to the material, then we’ll definitely keep it going. Has Legacy prepared you for this? For sure. I was able to get the same crew. Knowing how to shoot on this schedule with this budget was very pivotal on getting this done very quickly. We shot this in a day and a half. Legacy obviously kind of taught me how to do that. Can you tell us more about the title, Gable 5? Gable is the name of the lead doctor. The number 5 is because he has 5 test subjects. So we’ll be getting to know more about the 5 characters other than Eliza? Yes, you’ll learn the backstory of each of the 5 characters. Dr. Gable is of course the heart. You’ll see the different characters per episode. With Legacy, you have approached each season differently, with the first one being an anthology of sorts. With Legacy Season 1, it was kind of a big experiment. No one has done it before, and we didn’t know if should be an anthology or connected. We did the first one as an anthology and the second one more serialized. In the future, it will definitely be more connected and more cohesive. We are starting to talk about it [Legacy Season 3] literally this week (knock on wood). I’m starting to talk to Warner Bros. and the video game creators, so hopefully we can see it through. We better see it, especially after that cliffhanger in Legacy Season 2. I know, we pissed off way too many people. Ed Boon and I are going to get together and chat and talk to Warner Bros. about figuring it out. Is this the reason why we’re not going to see a Mortal Kombat movie from you? We all feel right now that we have such a trajectory to the series. There are so many more stories to tell in that format.